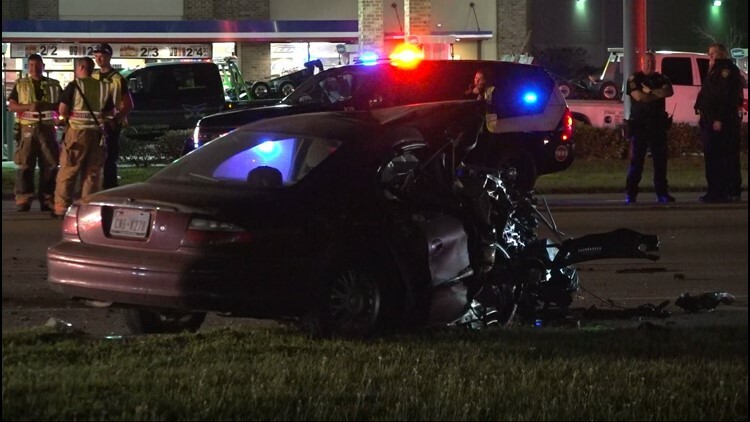 Wrong-way driver, 2 others killed in crash in NW Harris Co.
Investigators said the driver at fault, who died at the hospital, showed signs of impairment. 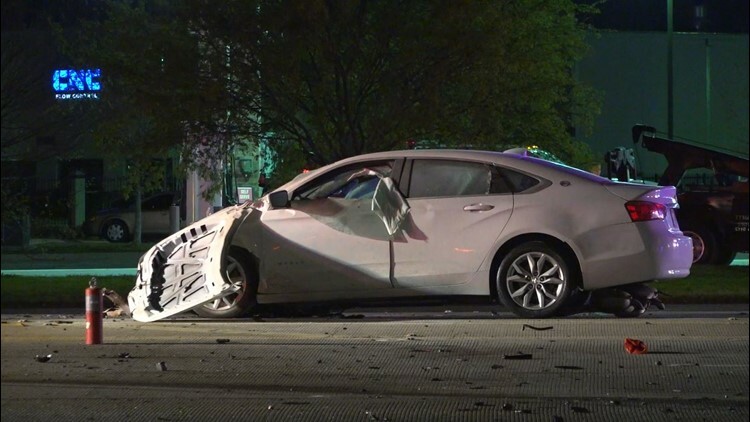 HARRIS COUNTY, Texas — Three people are dead after a wrong-way driver crashes with another car in northwest Harris County, deputies said. It happened shortly after 2 a.m. in the intersection of Highway 249 and Hollister Road. Sgt. Simon Cheng with the Harris County Sheriff's Office said a white Chevrolet Impala was traveling the wrong way in the 14900 block of Highway 249 when he crashed into the passenger side of a maroon Mercury Sable vehicle with two passengers inside. The two people, a 28-year-old man and a 22-year-old woman, were killed instantly. The driver at fault, who deputies said was 39 years old, was taken to the hospital by ambulance where he later died. Sgt. Cheng said he showed signs of impairment. Almost two hours later, investigators responded to another wrong-way crash in Pasadena. It happened along 225 westbound and Bearle Street. Pasadena police say a wrong-way driver was heading eastbound and collided with another vehicle. Both drivers were killed. Please be cautious on the roads this weekend. Harris County law enforcement agencies said they are increasing DWI patrols for what is considered the third biggest drinking day - St. Patrick's Day.